Superdry men's Shirt Shop tri panel t-shirt. 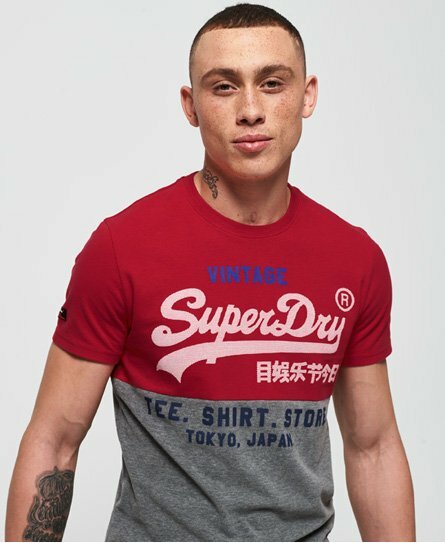 A twist on the classic t-shirt, featuring contrasting coloured panels and a Superdry logo graphic across the chest. This crew neck t-shirt is completed with a Superdry logo patch on the sleeve. Style with slim jeans and trainers for a classic casual look.